A student at Hillside School eats breakfast in the classroom. Instead of hanging out with their friends before school every morning, Hillside School 8th-graders Julian and Davarion make sure that their fellow students start their day off right – with breakfast. They help sort school breakfasts and bring them to each classroom, where the teachers then distribute the meal to students. “If you have breakfast, your mind is much more active and aware. It really gets you through the day,” Julian said. Hillside School is in its first year participating in the National School Breakfast Program, which provides schools with meal reimbursements as long as they meet certain need requirements. At Hillside, 78 percent of students qualify for free and reduced-price lunch. Assistant Principal Jennifer McGuire knows the need is significant. Generally, breakfasts include cereal, fruit, juice and milk. Nearly 400 children each day eat breakfast at Hillside. 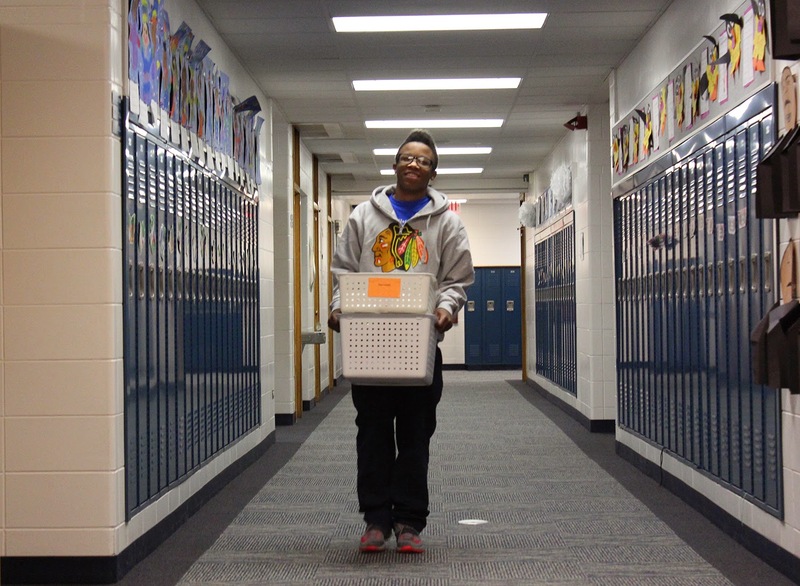 Davarion, an 8th-grader at Hillside, helps deliver breakfasts to different classrooms every morning. For Davarion, eating breakfast is a no-brainer. “You’d be hungry during the day if you didn’t eat breakfast,” he said. In 2013, there were 449,000 Illinois students who were eligible for school breakfast but did not receive it. 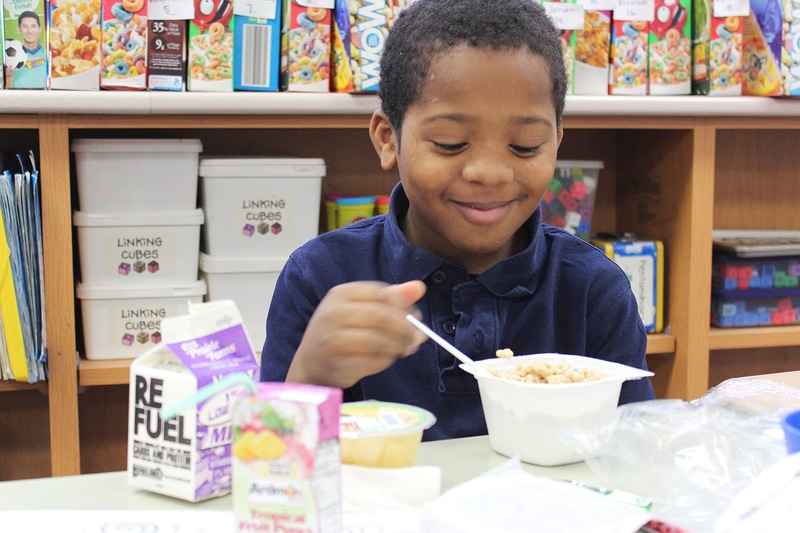 The Greater Chicago Food Depository is a partner in the Rise & Shine Illinois campaign to increase awareness of the benefits of school breakfast and encourage participation in the program. Hillside School Principal Steve Bogren knows that the breakfast and lunch programs are a crucial line of defense against hunger. February 23 – 27, 2015 is Illinois Breakfast Week. Learn more and pledge your support at riseandshineillinois.org.